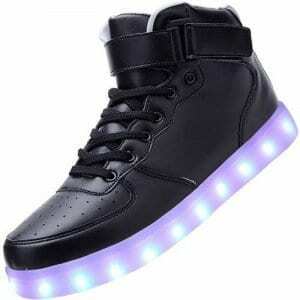 Buy the best pair of black light up sneakers for kids high top excellent prices guaranteed. Our own light up shoes are 100% waterproof and illuminate in a range of colors. 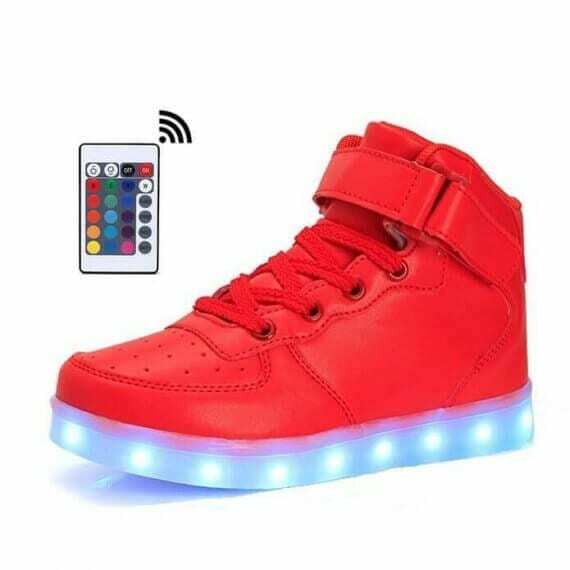 Changing the colors of the new led shoes is really fast and straightforward with merely the press of a button that is placed inside the the new light up shoes. You have a lot of selections to make a choice of the colors of the light up bottom shoes. 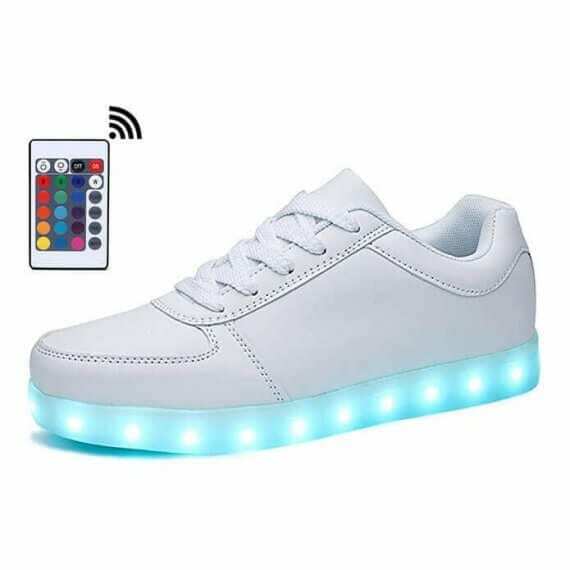 The use of a button positioned sitting inside the light up shoes sale you can set the many different settings to display a solid color or multi color light design and style. The light up sneakers are comfortably managed via a remote app if you decide to upgrade. Every different pair of sneakers with led lights which includes a USB cable for trouble-free and comfortable battery charge that operate 9 hours. Many are inquiring where to purchase shoes light up soles to wear for the next special occasions, large events, concert events, and dancing events. 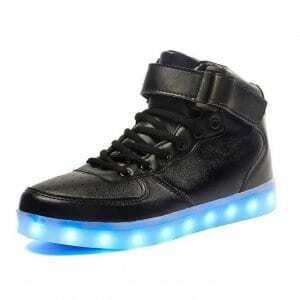 Kids light up shoes make a great prize for your special loved one. 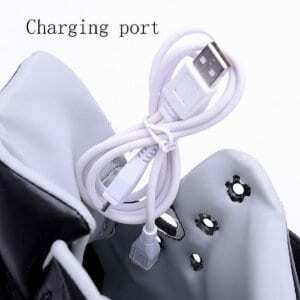 They won’t wreck in the rain and are secure to sport for any opportunity. 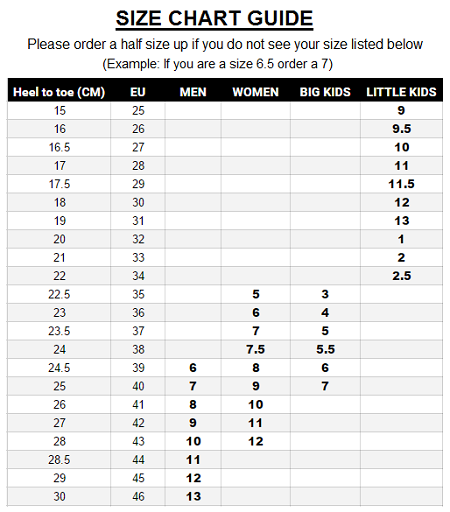 These light soled shoes for boys and girls are very widespread among adults and kids. Pleasant insoles and mobility make these amazing light up sole trainers. 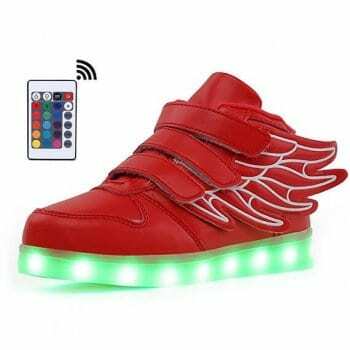 Expect to get popularity and kind comments because these led light up shoes review are sure to be a hit anywhere you display them. So grab a pair of new shoes as soon as you can and even be the jealousy of your pals and all of the your new fans!